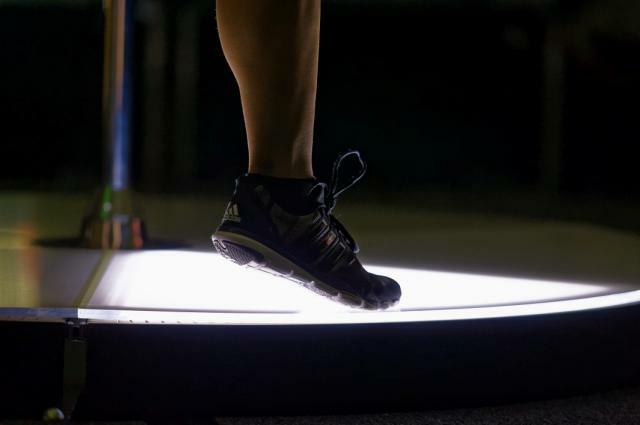 Using different capturing technologies, COMPOSIT staged an interactive piece of artwork, introducing an up-and-coming type of performance art, Pole Dancing. This type of dancing originated from an Indian traditional dance dating back to the 12th century. It was adapted in the 1920’s in Canadian fairs. The exotic side of the dance starts fading in the 1950’s and settles in clubs. The pole, (the central iron bar) is originally solely used as support for the dancers but gradually becomes the main act around which they perform more sensual dances. In the 1970’s, a whole new technique is formally invented and given a name to, taking over the nightlife all around the world while still keeping its good natured spirit. Today, Pole Dancing is considered an actual dance and is performed by people all over the world. Looking at the popularization of Pole Dancing in various cultures, we were interested in the fact that the dancers move following the music rhythm. We wanted to add an artistic and musical dimension for the dancers to generate a sound and light show; they are no longer interpreting the music with their dancing, but they become the musicians, using their body motion to create the show.